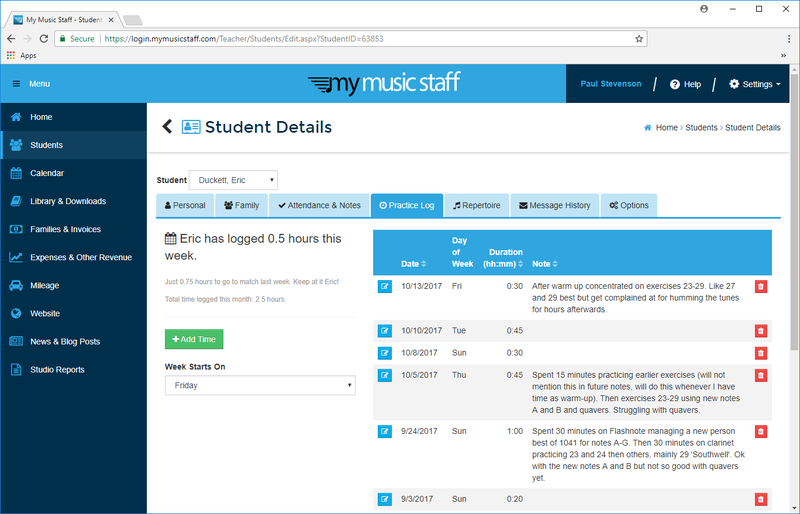 The Practice Log in My Music Staff lets your students log in and record how much time they’ve spent practicing. They can also leave notes and questions for you. This provides a great way to promote practicing and improve communication with your students. A student experiencing difficulty with a particular passage or technique might forget the specifics of their problem by the time they see you again in person. Practice notes can eliminate this forgetfulness and dramatically improve the effectiveness of the lesson. 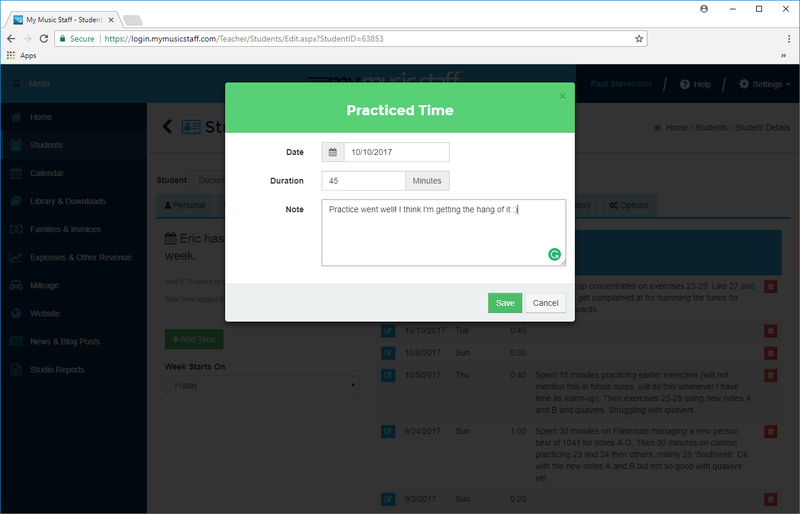 By having your students track how much (or little) they actually practice, you can help them take responsibility for their progress. Your students will actually be able to see the effort they’re putting into their music lessons, instead of a vague “Yeah” to the inevitable “Did you practice?” question.